Listen to @NicolDavid a professional squash player, she talked about learn Spanish in Bogota, her experience at Learn More Than Spanish and the experience with private classes per some weeks. Listen about her process and book your spot now! 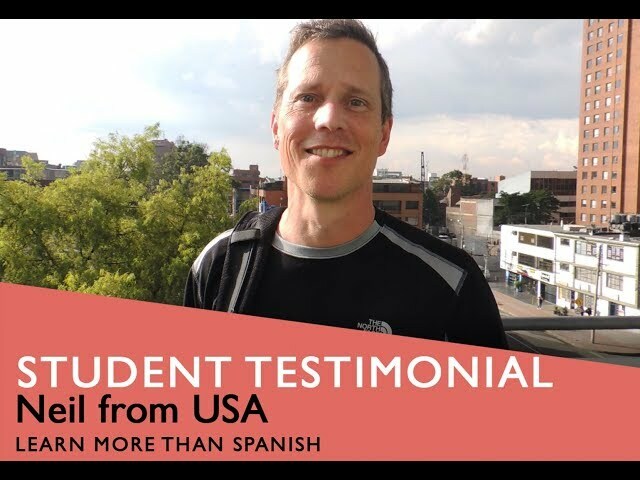 Listen to Neil talking about learn Spanish in Bogota, his experience at Learn More Than Spanish and the experience with group classes and private classes per 2 weeks. Listen about his process and more activities that he enjoyed. 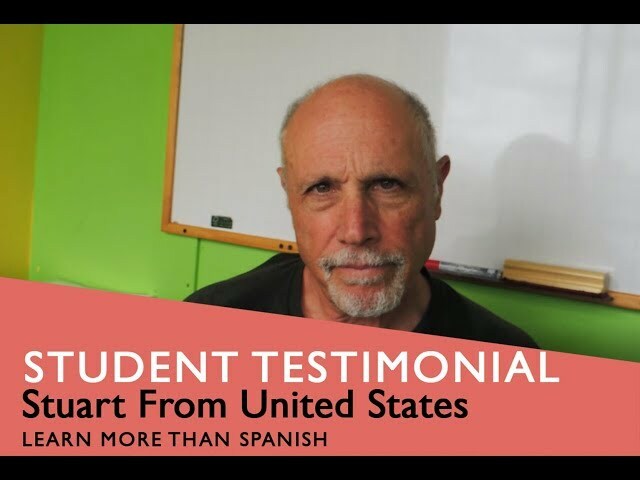 Listen to John talking about learn Spanish in Bogota, his experience at Learn More Than Spanish and the experience with group classes per 1 week. Listen about his process and more activities that he enjoyed. 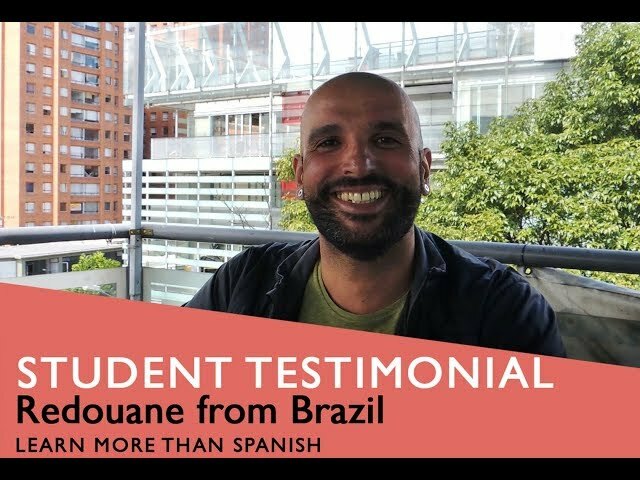 Listen to Redouane talking about learn Spanish in Bogota, his experience at Learn More Than Spanish and the experience with group classes per 1 week. Listen about his process and more activities that he enjoyed. 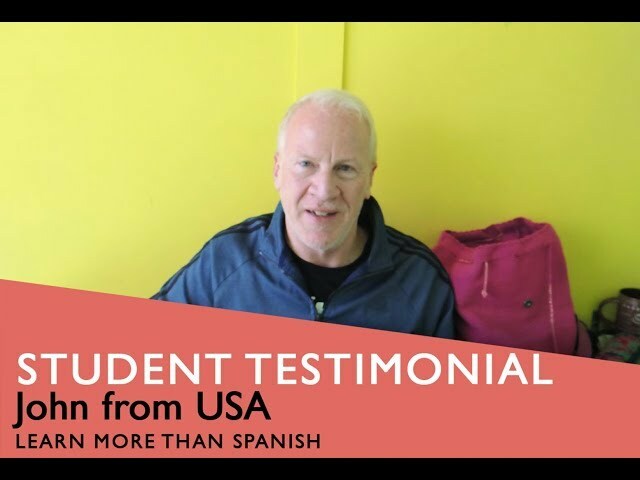 Listen to Jan-Jullius talking about learn Spanish in Bogota, his experience at Learn More Than Spanish and the experience with private classes. Listen about all his process and more activities that he enjoyed. Listen to Nancy talking about learn Spanish in Bogota, her experience at Learn More Than Spanish and the experience with group classes and online classes. Listen about all her process and more activities that she enjoyed. She improves her spanish a lot! 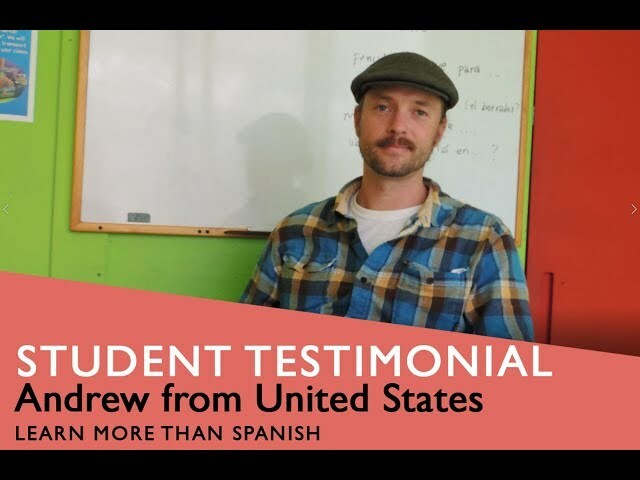 Listen to Andrew talking about learn Spanish in Bogota, his experience at Learn More Than Spanish and the experience with group classes and more activities. And this help him to improve his spanish while he enjoy our Spanish school and some activities. Listen to Marcelo talking about learn Spanish in Bogota, his experience at Learn More Than Spanish and the experience with group and private classes and more activities. And this help him to improve his spanish while he enjoy our Spanish school and some activities. Listen to Dawn talking about learn Spanish in Bogota, her experience at Learn More Than Spanish and the experience with group classes and more activities, like volunteer prigram. And this help her to improve her spanish while she enjoy our Spanish school and some activities. Listen to Stuart talking about learn Spanish in Bogota, his experience at Learn More Than Spanish and the experience with group classes and more activities. And this help him to improve his spanish while he enjoy our Spanish school and some activities.